The first thing people remember when they hear the name John Corabi is his stint in Mötley Crüe in the mid nineties. He told me himself about how many people come up to him and ask him about what he has been up to since leaving Mötley. Well the real fans know he was in Union with Bruce Kulick. After that he played guitar in Ratt for over a period of eight years. 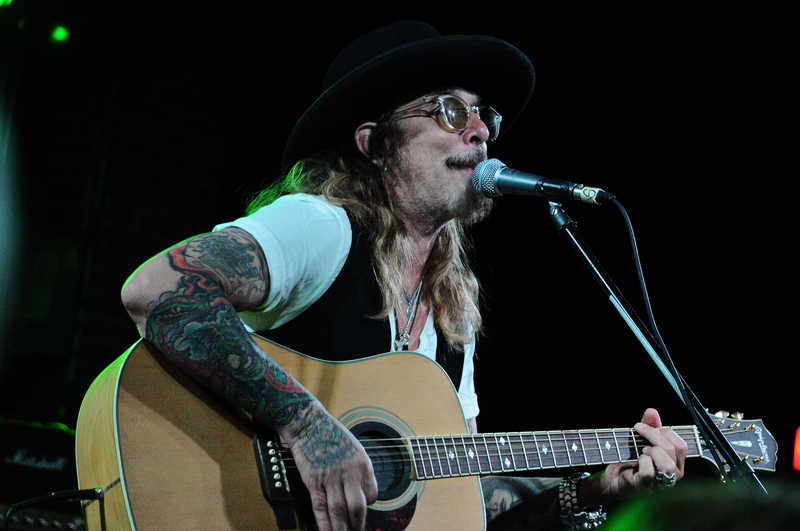 John recently released a solo album entitled simply Unplugged and recently opened a bunch of solo shows for Cinderella frontman Tom Keifer. Let’s see what he has to say as he is never one lost for words. Also a friendly reminder that John will be live at Braun’s Concert Cove on July 24th as part of the Mike Tramp Extravaganza. Click here for more info. Rock Show Critique: You just recently opened a bunch of shows for Tom Keifer, tell us about that and what else you’ve been up to? 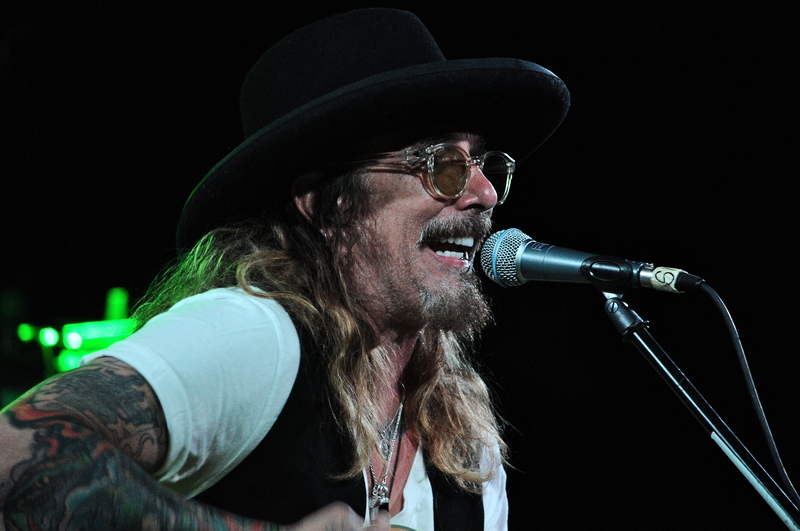 John Corabi: Tom and I have known each other for thirty years. We used to play the cover circuit back in Philadelphia and New Jersey and all that other stuff. So that was easy, I’ve done some shows acoustically for Cinderella. We get along well. We both live in Nashville, my girlfriend actually cuts his hair, she owns a hair salon. There’s a lot of connections there with Tom and I. Doing the shows was easy. He got a record deal first then when The Scream came out, there was a lot of comparisons between our voices and different things like that. I go out and play for thirty or forty minutes and do my thing, and get the audiences as pumped as I can with an acoustic guitar. Then Tom goes up and his set’s awesome as well, he’s got a bunch of great Cinderella material and his new album is awesome so it worked out really well. Right now I’m putting music together for an electric record. I’ve got a bunch of dates for the rest of the year. There’s talk of me going back out with Tom again and possibly doing something with Frank Hannon (Tesla) in the later part of the year. I’ll probably go back over in the fall and do another 5-6 weeks in Europe. So it’s gonna be busy. RSC: Your solo album unplugged came out last November, tell us about it, did it turn out as you had hoped? Will there be any other albums released in the future? JC: A lot of people asked me why I did the acoustic record. It’s just something I’ve always wanted to do. Pretty much every song that I’ve ever written starts off on an acoustic guitar anyway. It was weird when we were doing the Scream album back in 1990, the guys in Humble Pie was rehearsing in the same building with us Steve Marriott and Peter Frampton. Eddie Kramer was kind of working with both bands, he produced The Scream album, but he was getting ready to work with Humble Pie on their reunion record if you will. Marriott and Frampton used to come into our rehearsal room. Steve Marriott said something to me that just kind of really stuck with me. He liked a lot of the material that was on The Scream record. He just said if you can sit down and play a song in its simplest form like on an acoustic guitar and entertain everybody then you’ve got a great song, you know what I mean? It’s just something I’ve always wanted to do. Pretty much every record I’ve ever recorded has one or two acoustic songs on it. I know it was kind of a risk doing an acoustic record right out of the gate. Like I said it was something I wanted to do to show people that I’m not just a guy that will scream Hooligan’s Holiday or whatever. It’s showing another side of me. Ultimately I’d like to do an acoustic record then an electric record, then an acoustic record and flip flop back and forth. I call it being well rounded, being able to do it all. I love music so I would love to be able to do both. RSC: In 2008 you parted ways with Ratt, was that easy to do or was it time to try something else? JC: You know to be honest with you Ratt was kind of just a break. I did The Scream stuff then I was in Mötley for almost six years, then I did the Union thing. Ratt- I love the guys and we’re all still friends, I just talked to Blotzer a week or so ago. Ratt just came at the right time where I was sorting out everything that was going on with Union. It was a very difficult time and it still is you know a guy like myself that was known for being in one of the biggest eighties bands I kind of got a tag that as much as I embrace it I got to shake it at the same time. I have to try and recreate myself with each record and try and gain new fans. The Ratt thing came along and they needed a guitar player that can sing. It was kind of a break to continue to do what I like doing which is playing music and not having to worry about things that most artists worry about. Like ticket sales and how many radio stations are playing our songs and all that stuff, the business part of it, it was easy for me. Walk on stage, do my gigs, do my tours and every Friday I get a paycheck and I really didn’t have to worry about much. I could kind of be a traveling court jester and just go out and have fun. So that’s basically why I did it. I did it for seven or eight years and I had a great time with the guys. They got offered a record deal and I felt at that point I really didn’t want to sit down and write a Ratt record. I wanna get out singing again and create my own thing. So I just kind of left. RSC: Whatever happened to your Angel City Outlaws project? JC: That was just a cover band. That was something to do. Blotzer and Robbie Crane and Keri Kelli had started to put something together and to be honest with you originally I think they wanted to get Jani Lane to sing. But they called me and they said hey this is just a way when we’re home and we’re not doing anything, we can just continue to go out and play music, is this something you want to try and do? I’m like yeah sure. It was cool, we all got to pick a bunch of songs that we all liked doing. Everything from Thin Lizzy to Led Zeppelin and everything in between. It was just something fun like a side thing and I’ve done a few of those. I’ve done Angel City Outlaws, I had another band with Jerry Cantrell and Billy Duffy called the Cardboard Vampires. I do one in Russia called Classic Rock All-stars with Bobby Rondinelli and Geoff Nicholls from Black Sabbath and we just go out and have fun. It’s just another way to keep playing, have some fun, make some money and go out and be Land Pirates. RSC: Have there been any discussions to reform any of the other bands you were in? JC: Well I did have a manager talk to me once about putting The Scream back together again. But I wouldn’t want to do it unless it was all the original members period. That’s out of the question. Bruce and I have talked about doing some shows with Union, but we’re all so busy. Bruce has the Grand Funk thing, Brent’s playing with Slash, I’m doing my thing and Jamie’s been out with Roger Daltrey. We’ve all talked about doing it but with everybody’s schedule it’s just been a little hectic. You know never say never it could be something that might happen in the future, right now we’re not sure. RSC: Tell us about “Flush” from The Generation Swine Disc one of my favorites from Motley? JC: You know what’s funny, I really can’t give you that much information about it. Initially when I was in the band when we were doing the demos or actual recordings that song was called “Kiss The Sky”. The way they were recording they were putting together the songs and trying different things with computers and loops and editing. Basically I was surprised as everyone else they took that song, it wasn’t even close to the same song and they gave me a writing credit on it. I don’t really have a lot of information about it. “Flush” was basically what they came up with after I left the band. RSC: I read somewhere that you were responsible for much more of that album than what you were credited, can you enlighten us? JC: There were bunch of songs that we had started. Songs like “Afraid” and “Beauty” and “Glitter” which was originally called “Bang” when I was in the band. There were a bunch of ideas that were there. We had started them and recorded them. Just a bunch of tunes that we all worked on together. I’m not saying I contributed more than anybody else or less than anybody else. But it was songs that were developed and worked on when I was in the band. That was kind of my issue with them when I sued them. I looked at things one way and they looked at it another. Ultimately we both walked away from the whole thing and said you know what whatever. I didn’t really want to sue them but I felt like not so much with the band but the management that I was being a doormat and I didn’t dig it. 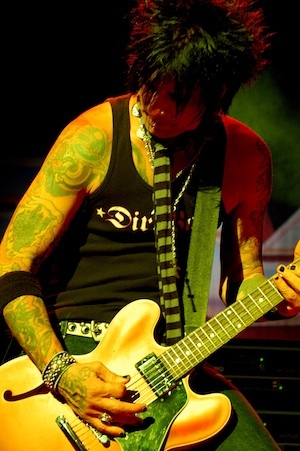 RSC: Your first live performance with Motley Crue…..were you nervous? How did it go? JC: Yeah I mean come on join this huge band whose last record and tour was the Dr. Feelgood tour. They did some shows for Decade of Decadence but this was their first studio record since Feelgood. Wasn’t really sure how it was gonna fly. We were all very excited and the first show was in Tucson, Arizona. Unfortunately the music industry was changing and things weren’t the same as they used to be. That tour was spotty at best, some shows were completely sold out and others that the attendance was to say disappointing would be an understatement. The first show was Tucson and I was extremely excited, we all were, we went out and did the best we could at the time and I had fun. Special thanks to Joe O’Brien for making this interview possible. This entry was posted in Concert Previews, Interviews. Bookmark the permalink.